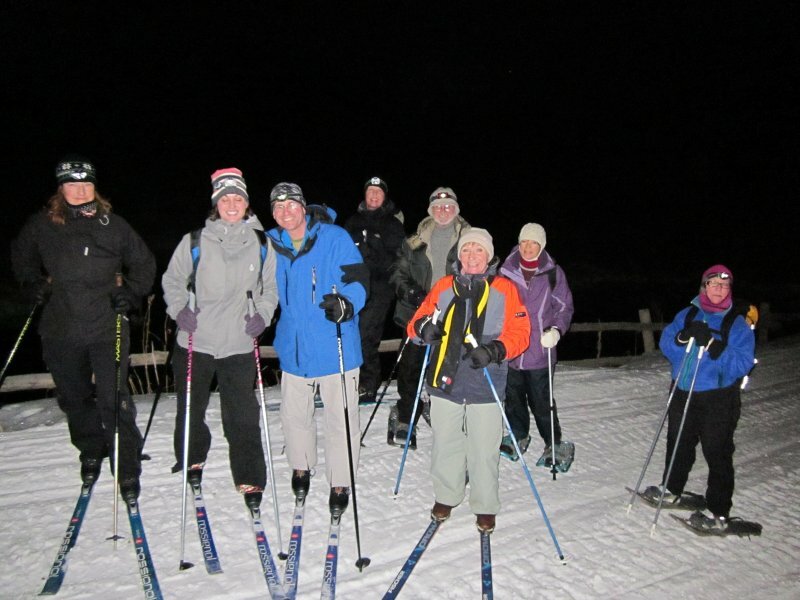 Nine people participated in this first winter event of 2012. Dave, Jane, Audrey, JD, Monika and Deanna were on skis, and Kathy, Jeannie and Tim used snowshoes. The nearly-full moon illuminated our way, requiring only occasional use of our headlamps. We followed the river as we traveled into the basin, but the shallow and icy snow encouraged us to keep out of the tangled willows. After a short detour on the groomed trail, we passed Beaver Spring and headed straight across the meadow to our destination. 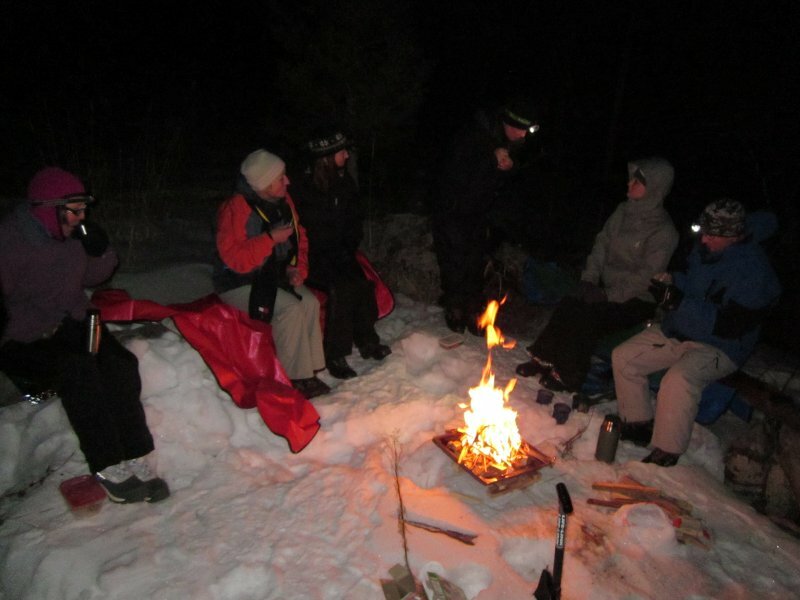 Here, everyone enjoyed sweet treats, warm drink, and a cheery fire before heading back down the groomed trail. Round-trip distance for the trip was almost 4 miles.